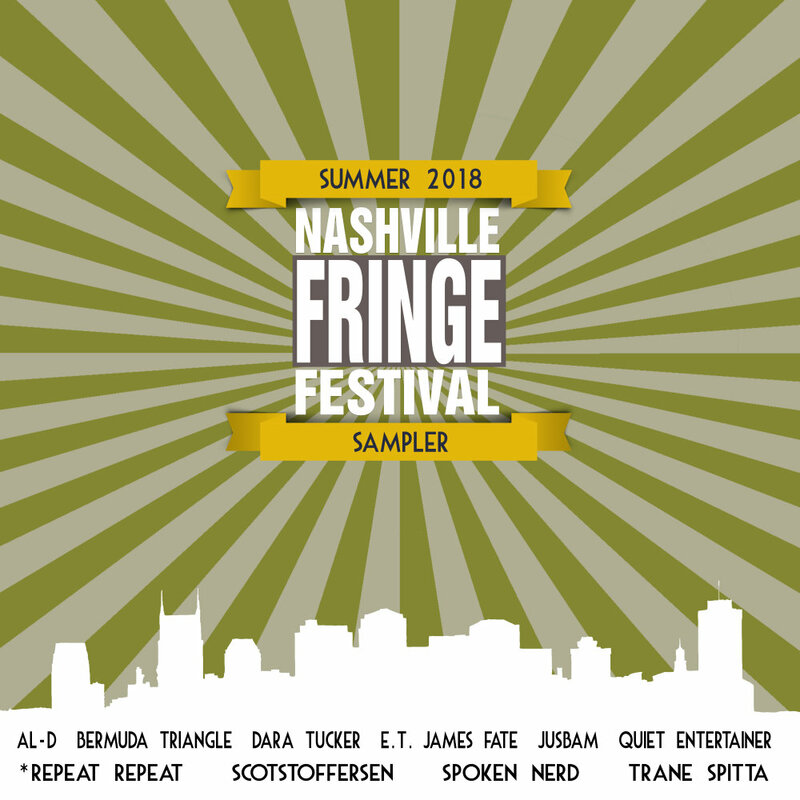 November is here, and with it the Nashville Fringe Festival is proud to invite you to a series of upcoming events featuring a wide range of the city's world-class talent! 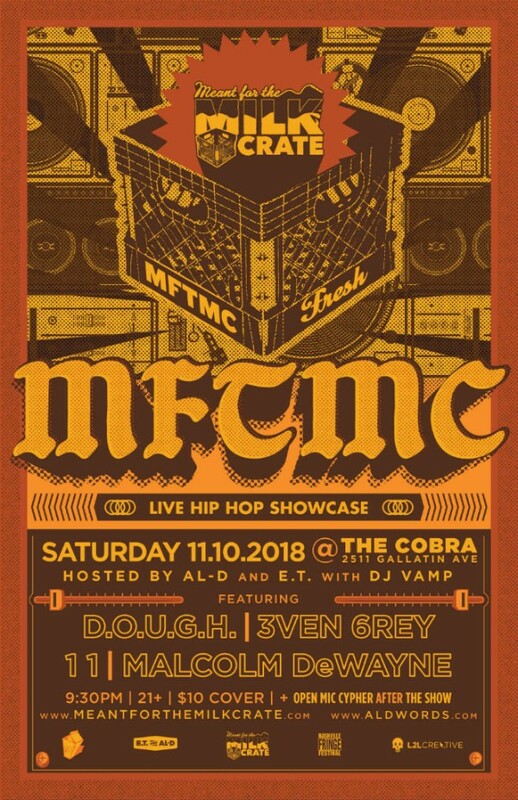 Saturday, November 10: Meant for the Milk Crate is returning to The Cobra Saturday, November 10. 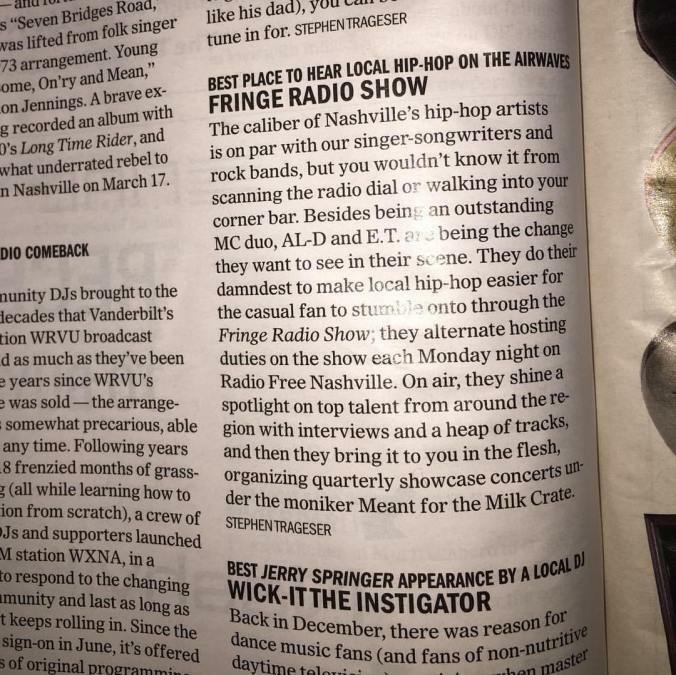 Hosted by Fringe Radio Show co-hosts AL-D and E.T. (with DJ Vamp), the showcase will feature D.O.U.G.H., 3van Grey, 11, and Malcolm DeWayne. The night gets going at 9:30 / 21+ / $10 cover / with an open mic cypher after the show. 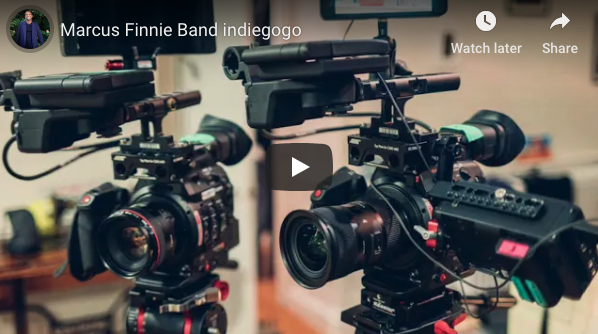 Monday, November 19 (7pm) & Tuesday, November 20 (7pm & 9pm): Friends of the Fringe events = The Marcus Finnie Band is hosting a series of live studio tapings at Layman Drug Co Studio, 1128 3rd Ave S., Nashville, TN 37210. The band includes Marcus, Jovan Quallo, Greg Bryant, Adam McPhail, De Marco Johnson, and Paul Horton, with more details available here. Tuesday, November 20: What the Blues Has Done For You with Bayou & the Degradables at Cora Howe School / 12:30pm.